Applying appropriate legal rules to companies with as much consistency and as little consternation as possible remains a challenge for legal systems. One area causing concern is the availability of damages for non-pecuniary loss to companies, a disquiet that is rooted in the very nature of such damages and of companies themselves. 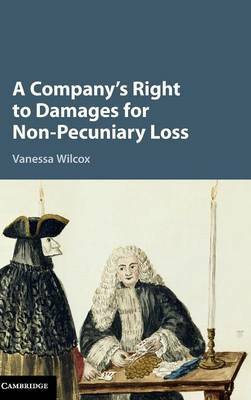 In this book, Vanessa Wilcox presents a detailed examination of the extent to which damages for non-pecuniary loss can be properly awarded to companies. The book focusses on the jurisprudence of the European Court of Human Rights and English law, with a chapter also dedicated to comparative treatment. While the law must be adaptable, Wilcox concludes that considerations of coherency, certainty and ultimately justice dictate that the resulting rules should conform to certain core legal principles. This book lays the foundation for further comparative research into this topic and will be of interest to both the tort law and broader legal community.